I this post, I will explain the root cause of the exact reason for the start of World War 3 and its most probable timing in the connected prophecy made by Nostradamus in this regard. The Centuries of Nostradamus contain many Quatrains, which describe the massive description that occurs during this period, including by way way of nuclear/ chemical and biological weapons. The various Quatrains also describe the regions, religions and the nations that will suffer most of the devastation that will happen during this most destructive period in the history of the world. However, only one specific Quatrain contained in the Prophecies of Nostradamus describes the reason and the probable timing of the Third World War. The murder or assassination of a person called Mabus will be the trigger that will start the Third World War. Mabus will be a very powerful world leader and the vengeance, which takes place as a result of his murder will be so severe that it will affect most of the people of the World. A sizable percentage of the population of the World will perish, the rest will suffer due to lack of food and water. The same prophecy also contains the “Comet” which is an indicator of the timing of this great destruction. The “Comet” prophecies are also contained in many other prophecies made by Nostradamus and also the Biblical Prophecies. Destruction of the World by a Comet Strike, which wipes out most of the population of the World is a very popular “End of the World Scenario” . 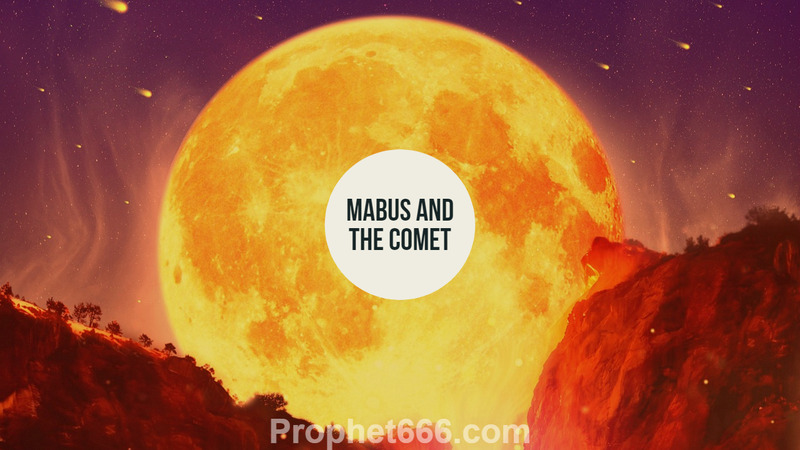 But both Mabus and the Comet go hand in hand and are part of the same prophecy. This site had in the past published some articles on Mabus, which could also be code name or and anagram of this person whose murder will be the trigger of this most destructive war. There were many possible “Mabus” candidates in the past few years, including Ray Mabus, the Secretary of Navy of the USA and Osama Bin Laden, but now it is clear that most people were wrong and “Mabus” still remains elusive, he has still not been decoded and identified. However, one thing is clear from this prophecy “Mabus” and the “Comet” are both connected and Mabus is the trigger and the Comet in the timing of the Third World War. We have published a short video in Hindi for the benefit of our Hindi readers, which can be seen on our youtube channel. In the near future, I will be giving more details on these World War 3 prophecies of Nostradamus and how they will affect the lives of the common people. I will not die, indeed ny soul end up very soon. Presence of mine................ will be the reason of Mass destruction. take it easy, im ludra.